His kind, mild-mannered style is a balm for this state. Tony Evers. Photo from the State of Wisconsin. There were moments during the lead-up to the oath taking for Wisconsin’s new governor when the music and songs conveyed the mood of the state far more than any speech could. I admit to getting tears when Fanfare For the Common Man, the work from American composer Aaron Copland, was played. While the statehouse was filled with the music I reflected that an educator without harsh partisanship, but instead with a mild-mannered personality along with a keen intellect, was about to lead this state. The inauguration of Governor Tony Evers is a balm for our state, which has been subjected to division and acrimony. The calm, low-key style of Evers marks a contrast with his predecessor who always seemed in a hurry to climb the political ladder. Evers understands his talents were honed for the job he now holds. His duty and calling are to benefit those who he has now sworn to work for day and night. Looking at Evers taking the oath left no doubt that he is the embodiment of the ethics and soundness of the Midwestern character. Not proud or showy, but confident and practical. He made promises to the people and was elected to office as a result. His firmness of purpose does not require loud outbursts or slamming his hand on a podium. His step-by-step approach with a reasoned road map, along with the backing of the citizenry, will allow for success. For all the bombast and chaos that marks so much of our politics it is truly refreshing to see one succeed from a foundation of education. His love for Kathy, his wife, along with a paragraph in a local news story about wanting to make sure his upcoming schedule has time for family, rounds out the picture of the man who now is governor. He could enter any home from Ashland to Pewaukee and be at once comfortable with a cup of coffee at the supper table. During his speech in the rotunda there were two lines that jumped out at me. He stated that, “We must turn the page on the tired politics of the past.” He also said, “It’s time to remake and repair our state and to reclaim our better history.” Those beliefs were at the center of why I supported Evers in the crowded primary, and was so proud to cast a ballot for him in November. My perspective is that we need to again have the tone and comportment in our state politics of the kind that we knew from our past. It is vital that we correct the harsh and damaging rhetorical course that we are now on, and arc towards our commonalities. There are going to be mighty bumpy roads and long hours at the capitol, but there is one thing I am confident of as we go forward. The old-fashioned ideals and characteristics we want in our politicians, regardless of what party they align themselves with, or what policy ideas they espouse, are contained in our new governor. 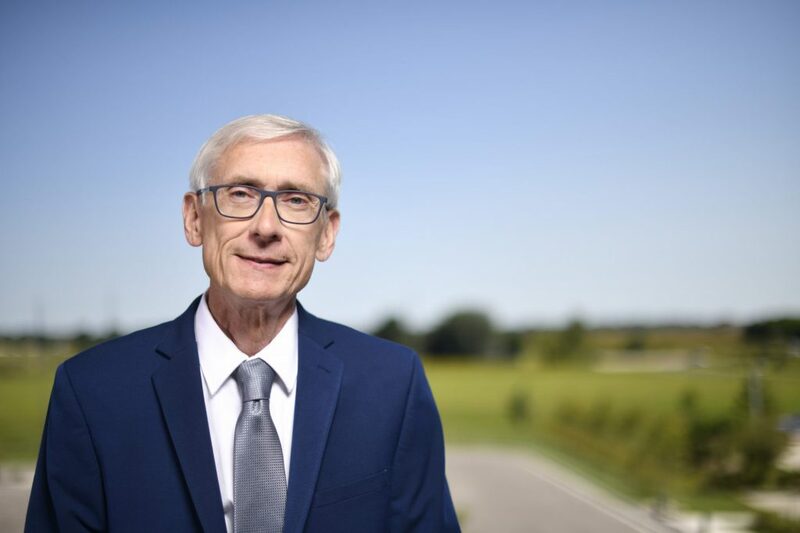 Evers grasps the fact Wisconsin needs to move forward, solve problems, and meet in the middle to address policy deadlocks. Being politically mature and exhibiting level-headedness may not make for flashy headlines and tweets, but soundness of judgement is just what the Wisconsin voter cast a ballot for when electing Evers. It is indeed, as William J. Reed Community Choir from Milwaukee sang so powerfully leading up to the inauguration late Monday morning, Oh, Happy Day. Gregory Humphrey writes for the Caffeinated Politics blog.